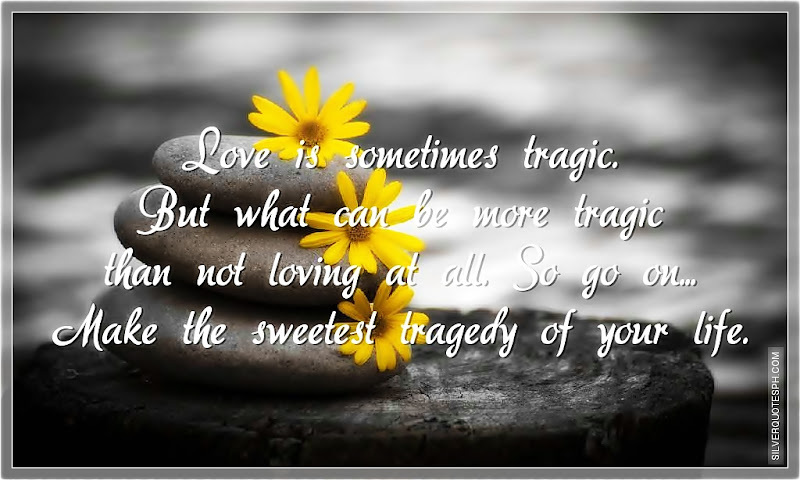 Love is sometimes tragic. But what can be more tragic than not loving at all. So go on... Make the sweetest tragedy of your life.